Celebrate Batman Day on September 23rd! Join us in celebrating the legendary superhero we all love! BATMAN DAY is Saturday, September 23rd, 2017. Except this year, in celebration of Harley Quinn’s 25th anniversary, the Clown Princess of Crime is taking over! The annual fan-favorite event, now in its fourth year, was first introduced to honor Batman’s 75th anniversary. 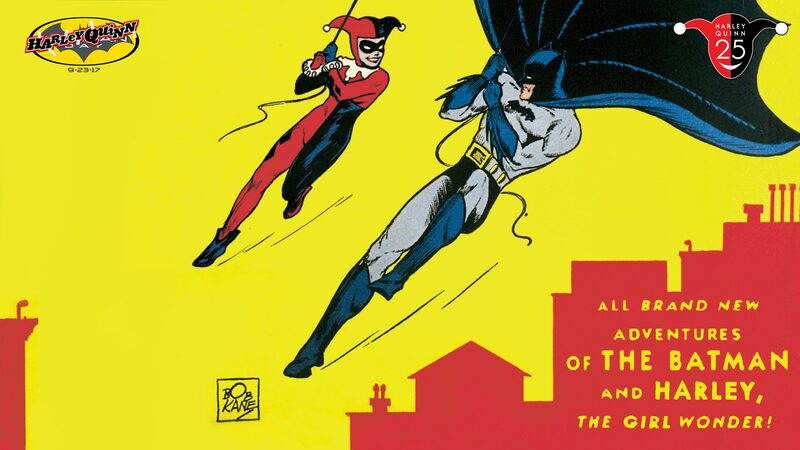 This year, in honor of Harley Quinn’s 25th anniversary, BATMAN DAY will also feature the immensely popular Clown Princess of Crime who burst into our lives when she debuted on Batman: The Animated Series in 1992. Harley Quinn now stars in her own best-selling comic book series, acclaimed graphic novels and has inspired amazing toys and collectibles based on her iconic looks from over two decades. She was the breakout character in the Suicide Squad movie and the Batman: Arkham series of video games, and she was even the most popular Halloween costume of 2016! Continuing the BATMAN DAY tradition, DC Entertainment has combined forces with thousands of comic book retailers, bookstores, schools and libraries across the country to bring fans exciting festivities. There will be Batman and Harley Quinn masks, free comic book giveaways, talent signings and more-all to honor Gotham’s Dark Knight and its most beloved supervillain! Confirmed book signings feature blockbuster talent like Frank Miller, Brian Azzarello, Andy Kubert, Klaus Janson, Paul Dini and many more to be announced. For more information, please see our events page. BATMAN DAY participating partners include many Warner Bros. divisions, as well as Warner Bros. Consumer Products licensees–Capstone Young Readers, Penguin Random House, Scholastic, DK Licensing, Bendon, Downtown Bookworks and HarperCollins. These partnerships provide the unique opportunity for retail and digital promotion across various media in celebration of Batman. Participating partners have also contributed materials to a digital activity kit that includes coloring pages, printable masks, games and much more for retailers to create their own Batman Day events! Join us for one of the most anticipated days of the year, as we celebrate Batman Harley Quinn on September 23rd!